Pension Fund's refusal ruled legitimate. Kyiv Appeal Administrative Court on 28 September overturned the decision of Podolsky district court of Kyiv, which in the summer of 2016 ruled the failure of the Pension Fund in the resumption of payment of pension to former Prime Minister Mykola Azarov as wrongful. This was announced by deputy Prime Minister Pavlo Rozenko on Facebook. The Court of Appeal ruled, however, that Pension Fund should accept the statement made by the former prime minister of the resumption of payment of pension. Last December, Pechersk District Court of Kyiv had arrested retired the pension of the former president Viktor Yanukovych and Prime Minister Mykola Azarov. This was done at the request of the investigator of the Prosecutor-General's Office in the investigation of collusion of Yanukovych, Azarov, former finance minister Yuriy Kolobov, the ex-COB Ukrtelecom Heorhiy Dzekon, and director of ESU Ilya Solodovskyy. They were charged of embezzlement of public funds amounting to 220m hryvnia from October 2010 to July 2013 in the construction of a special-purpose telecom network. 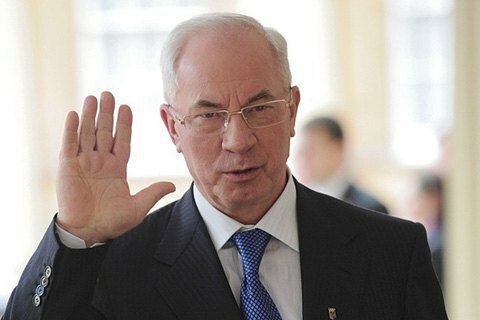 In February 2016, an appellate ruled illegal the arrest of Azarov's retirement account. Later, the Pechersk District Court re-arrested the pension of the retired ex-prime minister. In March, the appellate court confirmed the arrest of pension accounts of the former premier.